I am working with a school in Media City, Salford who are looking for a Maths Teacher to start with them ideally as soon as possible. The school has great values and asks for immediate commitment for the successful candidate. You will need to bring creativity, rigour, resilience and a passion for teaching to the dedicated team. You will have excellent subject knowledge and will be committed to giving the children the start in life they deserve. The successful teacher will be required to meet with the head of department at your earliest convenience. You will have a supportive leadership team to welcome you to the school. justteachers is an established educational supply business specialising in the recruitment and placement of outstanding personnel to a number of educational settings. 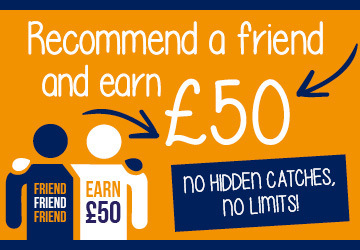 Did you know you can easily make £50 with the justteachers recommendation scheme? Go to the Recommend Page and complete the simple form. It’s as easy as that!